Marcus or Harris Island is part of the Northern Mergui Archipelago in the Andaman Sea. It is situated 35 miles the coast of Myeik, the seafood capital of Southern Myanmar (Burma). The island name origins from it's British Colonizers. 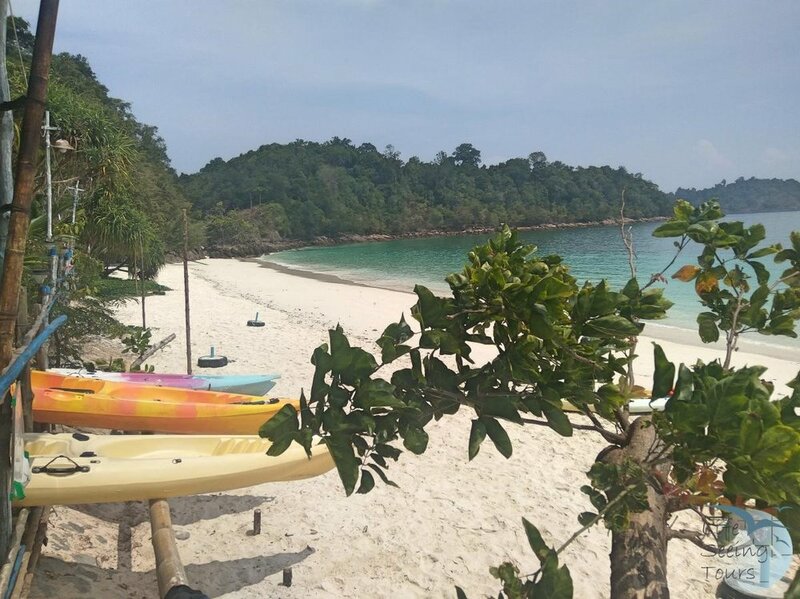 We pick you up from your Hotel in Myeik or Myeik Airport at 8:30 AM in the morning. Our first stop is a local owned grouper fish farm. The local people call them stone fish as the fish can be found around stones only. Fishermen catch them when they are babies. The farms keep them up to 10 years for breeding mainly. The fish can reach up to one meter and weighs about 40 kilograms or more at the end. The rest of the day is all yours. We will take the boat around to go to snorkeling spots around the island. There are big field of blue anemones with other soft coral and clown fish as well as some hard coral boulders where moray eels are sometimes hiding. We return to Marcus Island for dinner. Enjoy sleeping under a thousand of stars in you private tent. There are shared toilets and showers at the beach. The next morning you will have breakfast and lunch on the beach again and quality time for relaxing before we leave Marcus and cruise over to Thamee La Island. Take some more time for relaxing or have a look at the underwater world. A freshwater stream (seasonal) can be used for a shower before we return towards Myeik. We arrive back in Myeik in the afternoon. Please note: The program may change depending on tide and weather conditions. Participants need to submit their personal details (Copy of passport or national ID - Card) to the tour operator at least 3 day before departure date. Failure to this procedure will cancel the trip automatically. There is no toilet on the boat.